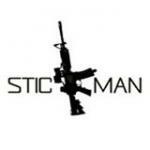 Stickman had the most liked content! FPS's, MMO's, RPG's, Computers, Business, Engineering, Science and Math in general. I would love to get a group together, but know that the game's community is totally toxic. We probably wouldn't be able to go a day without getting ganked by the largest clan on the server. Did someone get some cake? Looks interesting, definitely not the best I've ever seen but still good. What they are showing I've never seen from playing the game before so I'll stay skeptical and keep checking in from time to time. Thanks for staying up to date on this though Cav. I'll give it another shot and see how it is. I played a couple rounds, and honestly seems better than I expected. I won't be spending 60 bucks on it though. Too many other great games coming out in the next two months like Mafia 3 and Forza Horizon 3. It literally takes less than 5 minutes for $30. At that rate you could make $360 an hour... then would it be worth it? Tropico 4 is FREE on HumbleBundle.com right now. Even if you haven't played any of the others it is a great game and costs nothing! [SC] Squadron 42 Hoodies Now Available! Ouch... Well at least every time they show off the game it is substantially further along. The Gamescom demo was amazing and that wasn't even the latest version that they've built. Yeeahh, I'll be offline for Sunday and Monday for the move, fingers crossed I get decent internet at the new place! I believe there are only two other channels that are really ever used consistently. A lot of people have their own Discord channels (including myself), but they are almost never used often and only for rare occurrences. You could request everyone to delete their personal channels but because of the previous reason it would not increase traffic on the 47th channel at all. As for the other two channels only one of those gets any considerable traffic and nobody here has power over that channel as it is owned by a non-47th member. As far as getting people back in channel the latest Ops night seemed to do a pretty good job! Well no matter what, it was fun having you in the group, and sorry it didn't work out. Have fun in any future endeavors! I picked up the game as I love my looter-shooters. I'm excited to give it a go if anyone wants to jump in with me!